Moradi Dashtpagerdi, M., Rezaee, P., Rostamnejad, A., Ghonchepour, D. (2014). Differentiation of Coastal Sedimentary Environments Using GIS and RS Techniques (Case Study: Coasts of Chabahar Gulf). 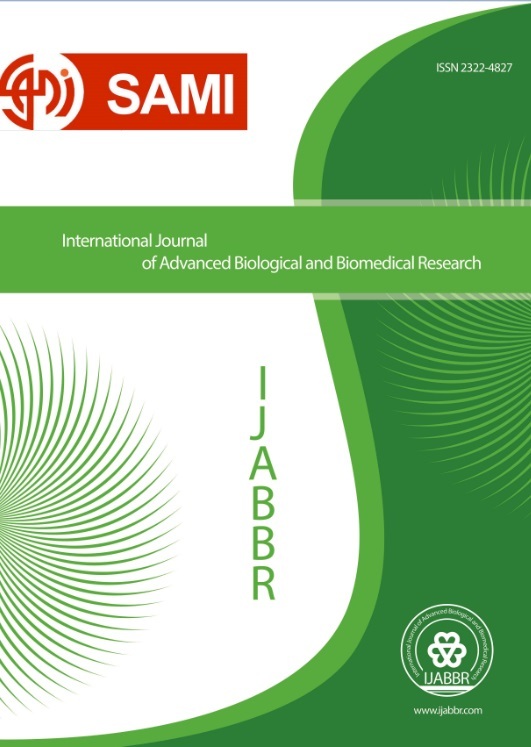 International Journal of Advanced Biological and Biomedical Research, 2(3), 601-607. Mostafa Moradi Dashtpagerdi; Payman Rezaee; Ali Rostamnejad; Diba Ghonchepour. "Differentiation of Coastal Sedimentary Environments Using GIS and RS Techniques (Case Study: Coasts of Chabahar Gulf)". International Journal of Advanced Biological and Biomedical Research, 2, 3, 2014, 601-607. Moradi Dashtpagerdi, M., Rezaee, P., Rostamnejad, A., Ghonchepour, D. (2014). 'Differentiation of Coastal Sedimentary Environments Using GIS and RS Techniques (Case Study: Coasts of Chabahar Gulf)', International Journal of Advanced Biological and Biomedical Research, 2(3), pp. 601-607. Moradi Dashtpagerdi, M., Rezaee, P., Rostamnejad, A., Ghonchepour, D. Differentiation of Coastal Sedimentary Environments Using GIS and RS Techniques (Case Study: Coasts of Chabahar Gulf). International Journal of Advanced Biological and Biomedical Research, 2014; 2(3): 601-607. Aghanabati, Ali. 2005. Geology of Iran, Publications of Geology and Mineral Exploration Organization of Iran Country, 582 p.
Ahrari Rudi, Mohialdin., Shahrokhi, Jila. 2008. Earth Tourism in Chabahar. Journal of Eart Science. No67. 47-53p. Anfuos,G.Pranzini,E. and Vitale,G. 2011. An integrated approach to coastal ersion problems in northern Tuscany(Italy): Littoral morphological evolution and cell distribution. Geomorphology 129.P 204-214. Chughi, Bayram Komaki., Alavipanah, Kazem. 2005. Zoning the Yardangs of Loot Desert using Processing the Satellite Images. Geographical Researchs, No54. 27-14p. Davar, Lida. 2010. Compare two NOAA and IMO Methods to Identifiying the Sensitive Environmental areas in Coasts of Sistan and Baluchestan Province. Sciences and Technology of Environment. Period12, 113-123. Ebrahimzade, Isa., Karimi, Sadegh. 1988. Coastal management and developmet of environment in Chabahar Region. Journal of geography and Environmental Planning. No 40. 72-57p. Farzadmehr, Jalil., Azani, Hossein., Darvishisefat Aliasghar., Jafari, Mohammad. 2005. Examination the capability of Satellite data of Landsat7 to Estimate the Vegetation Cover and Production (Case Study: Semi- Steppe Hana Region, Semirom). Journal of Natural resources of Iran, No2. 339-350p. Gharibraza, Mohammadreza., Motamed, Ahmad., 2006. Coastlines and Sedimentary Sequences of Late Quaternary in the Region of Chabahar Gulf. Inman,D.L. and Masters,P.M. 1998. The outer bank of North California: Budget of Sediment and inlet dynamics along a migrating barrier system jour. Coastal Reserch, 193-237. Kraus N, C. and Rosati J,D. 1997. Costal Engineering Technical Interpretation of shoreline-Position Data for Costal Engineering Analysis.Note CETN 11-39. Kodabakhsh, Saeed., Gharibreza, Mohammadreza., Askari, Rozita. 2008. Separation of Coastal Sedimentary Environments using a Combination of Digital and Optic Methods: case Study: Coasts of Khuzestan Province. Journal of Iran Geology, 9-3p. Masoomi, Hamed. 2011. Identification and Differentiation of Sedimentary Cells in The Coasts of Persian Gulf in Hormozgan Using GIS and Sedimetology Characteristics of Coastal Deposits: Research Project of Research Deputy of Islamic Azad University, Bandar Abbas Unit. 29-110. Masselink,G. Pattiaratchi,C.B. 2001. Seasonal changes in beach morphology along the sheltered coastline of Perth, Western Australia. Marine Geology. 172 P243-260. Motamed, Ahmad., Gharibreza, Mohammadreza. 2008. Evolution of Coastal Makran in Late Quaternary. Geographical Researchs, No 64. 77- 87. Naeimi, A. Ghahroodi, M. Servati, M. 2010. Monitoring of Shoreline Changes and Geomorphologic landforms in Persian Gulf Using RS and GIS, Case study: Asaloyeh Region. Journal of Iran Geology, No, 30 , 61-45. Rangzan, Kazem., Derakhshan, Shahram., Ziaean, Parviz., Koly, Mohammadali. 2006. Calculation of Volume and Area of Karun3 Dam using Remote Sensing and GIS. National Conference on Irrigation and Drainage Networks.